We’ve talked about how to winterize your RV before, but what about when the sun finally comes out, the snow melts and you’re ready to dust off the old wheels for a spin around the country? The first thing to do is fully charge the battery. (Do not add water to lead acid batteries until fully charging, unless the water is already below the plates. Always keep plates covered.) After charging, check and add distilled water as needed. What if after all of this, your battery is shot? If you need a new battery, take it into a professional and have it tested. When replacing batteries, make sure to replace battery banks together. DO NOT add a new battery with a bank of old batteries. Before cleaning your batteries, make sure to wear protective safety gear. (Battery fluids and chemicals are no joke. You don’t want that stuff on your skin!) Check and clean corroded connections, trays, and terminals. You can use a simple solution of hot water and baking soda with a rag to clean. When reinstalling the battery, disconnect power and make sure main power is off. Make sure your battery is connected properly, and – zap! You’ve got power! When the winter hits, water leaks can be a common problem for your RV. 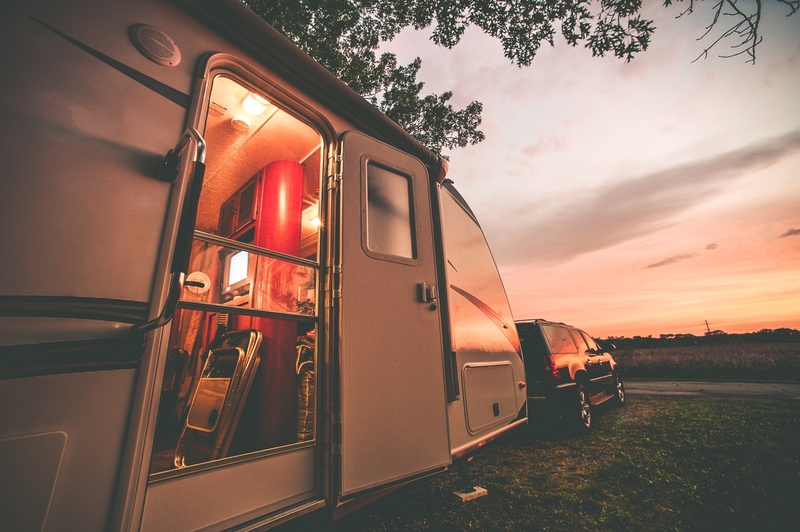 One of the first things you should do when getting your RV ready for travel this spring is to check the caulking around all the areas of your RV, including windows, vents, AC unit, and doors. Don’t forget to check your roof too! If you need additional info about your roof, the material used, and the best ways to repair roof damage, check out this RV Roof Guide. The changing temperature that comes with winter can make your tires lose air pressure. Did you know that your RV tires can lose 2-3 psi a month while sitting in storage? So by the time you’re preparing your RV for a trip this spring, your tires could be pretty low. Driving on low tires can cause terrible damage to the tire and rim. Your RV could experience fast tread wear, uneven tire wear, and overheating that leads to tire failure, so you want to check and adjust your tire pressure prior to rolling out. The pressure should be adjusted based on the load weight and manufacturer’s recommendation. In addition to tire pressure checks, you should check them for cracks and tread problems. Don’t forget to include your spare! 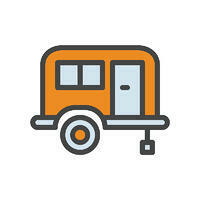 One of the big steps to de winterizing your RV is checking your water system. To test your water pipes and lines, inspect all the faucets and pipes while running the water through. Check the water heater safety valve and drain plug for leaks. It’s a good idea to sanitize your water system each spring. You can do this by closing all drains and pouring ¼ cup of bleach into your tank holds for every 15 gallons of water. Then turn the water pump on and run the water through all faucets. Turn off faucets and let sit for 12 hours. Drain all the sanitizing water and refill with fresh water, running all faucets until the bleach smell is gone. You may have to repeat this in order to get rid of all bleach. Replace any water filter cartridges you used before winterizing. Prior to checking your liquid propane, make sure all propane appliances are turned off and that there isn’t any smoking or open flames nearby. Turn on the leak detector in your RV, then open the valves on your propane tanks. Do a good “smell check” around the area to see if there are any leaks. Check the valves and regulators using a soap and water mix. It’s important to know that sometimes during winter, the seals can dry out, causing leaks while in storage. So if you find a leak, have a professional repair it for you. Start by checking the power train fluid levels. This includes transmission, power steering, brake fluid, coolant, engine oil, and windshield washer fluid. Get your engine serviced and make sure the vehicle emissions sticker is updated. Now for the generator. Start it and check its functions. This is probably easier said than done if your generator has sat around in storage. You can make this go a little faster by priming your generator until the indicator light turns on for the fuel pump. Run the pump for around 15 seconds. But what if you don’t have a prime feature? Then you, my friend, will have to crank it! Let the starter rest to cool after about 15 seconds of cranking and cycle the starter until it runs. Once your generator starts and has been running for a bit, check your oil level and inspect your exhaust system. You can find the specific oil levels needed in your owner’s manual, and the load ratings for testing your generator should be there too. Start with a half-rated load, and if the generator surges or you didn’t use a fuel stabilizer prior, get it checked out by a professional. Do you have awnings for your RV? They aren’t going to do you any good if they have rips or holes in them. Check your awnings and repair any snags or tears that have happened while in storage. Additionally, check the spring tension when you extend your awning. If it’s stuck, don’t force it! You could cause further damage. The spring tension may need a quick adjustment from a professional, so let them handle the tricky parts. The final task you want to do when getting your RV spring ready is to test and clean up your appliances. This includes your stove top burner, refrigerator. During the winter, bugs and small critters can make a home in the access covers of your appliances, and you surely don’t want to be making some awesome quesadillas or something and dealing with spider web remnants, right? So, be sure to clean out the burner and wipe up any dust, dirt, dead bugs, nests and webs from all of your appliances prior to use. **Note: If at any time you don’t feel comfortable performing any of the above maintenance work on your RV, have it done by a qualified service facility. Always remember, when in doubt, call a professional! In the springtime, this amazing national park is covered in wildflowers, making it extra beautiful for a RV camping trip. The annual Spring Wildflower Pilgrimage is hosted every year at the end of April, so book that campsite and take a walk on the wild(flower) side! 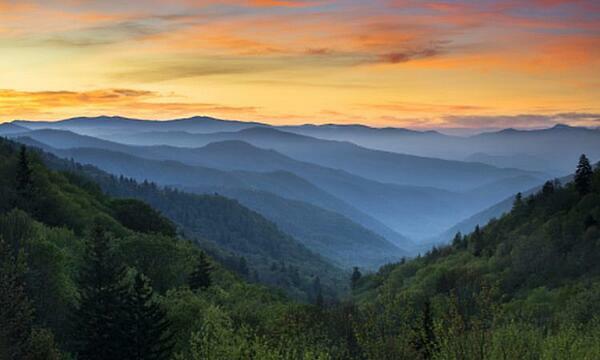 Do you want to visit the highest waterfall in North America? Get yourself to Yosemite Falls! 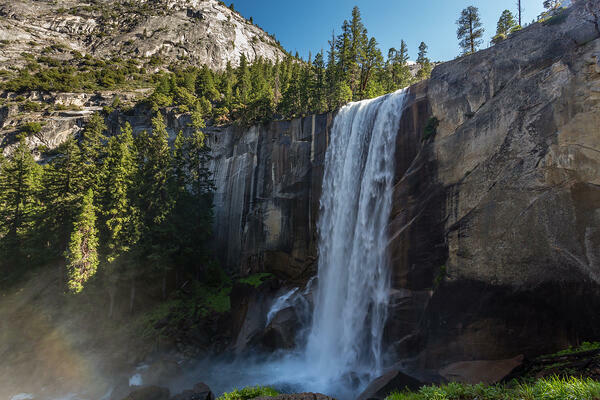 Yosemite Falls is actually made up of three separate falls: Upper Yosemite Fall, middle cascades, and Lower Yosemite Fall. You can hike to the top of the fall (it takes a whole day) and take in the view. A perfect addition to your RV bucket list. 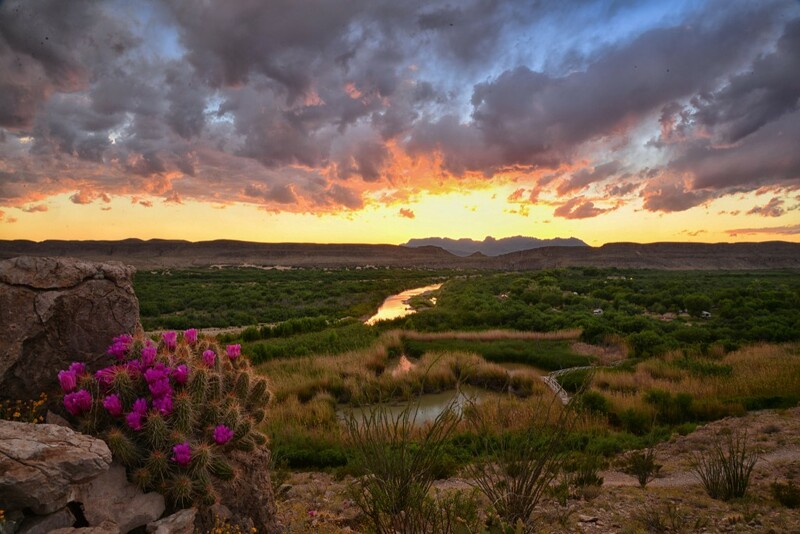 Big Bend National Park on the Rio Grande covers about 800,000 acres of west Texas bordering Mexico and is home to more than 1,200 species of plants, animals, cacti and birds that are migrating along the north and south trek. It also has a Fossil Discovery Exhibit where visitors can learn about the local geology of the park and its history that dates back over 130 million years. 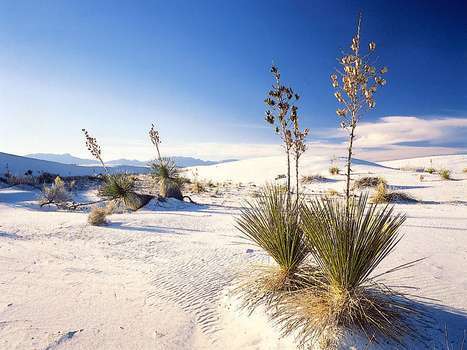 Situated in the northern Chihuahuan Desert, this area hosts the largest landscape of rare white gypsum sand dunes. You’ll wonder if you’re even in the U.S. while you trek through dune trails, including the Dune life Nature Trail and the Interdune Boardwalk. White Sands National Monument preserves much of this unique dune field, as well as the plants and animals that dwell within it. 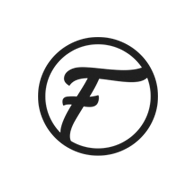 It wouldn’t be very Fusion of us without mentioning our home state of Nebraska. 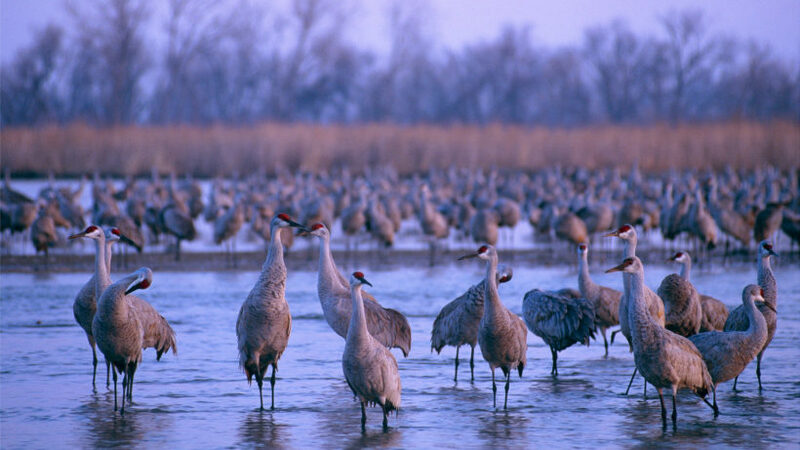 While Fusion is based along the eastern border of Nebraska, there’s a whole lot happening with the sandhill cranes in Kearney, Nebraska too. Each year, sandhill cranes make a journey between Mexico and Canada, stopping off in Kearney along the way for a bit of a “road trip break.” There are over 600,000 cranes (around 80% of the world’s sandhill crane population) that make the trip and roost in Nebraska’s sandhills. What else is on your travel agenda? Maybe a new assignment with Fusion? Check out some of our current job listings below and get those wheels turnin' on the road!